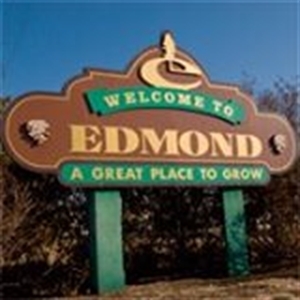 Located on scenic Route 66, The Mother Road, a stay in Edmond places you just minutes from international attractions such as the National Cowboy and Western Heritage Museum, Remington Park horse racing, the Lazy E Arena and picturesquely historic Guthrie, just to name a few! Jan 24.0 F° 36.0 F° 48.0 F° 1.4 "
Feb 29.0 F° 41.0 F° 53.0 F° 1.8 "
Mar 36.0 F° 49.0 F° 62.0 F° 3.5 "
Apr 46.0 F° 59.0 F° 72.0 F° 3.2 "
May 57.0 F° 68.5 F° 80.0 F° 5.0 "
Jun 66.0 F° 76.5 F° 87.0 F° 5.4 "
Jul 71.0 F° 82.0 F° 93.0 F° 2.6 "
Aug 69.0 F° 81.0 F° 93.0 F° 3.3 "
Sep 60.0 F° 72.5 F° 85.0 F° 3.7 "
Oct 48.0 F° 60.5 F° 73.0 F° 3.6 "
Nov 37.0 F° 49.0 F° 61.0 F° 2.6 "
Dec 27.0 F° 38.0 F° 49.0 F° 2.2 "
Spring temperatures are cool with averages in the upper 50's and highs in the low 70's. Nights are cold with lows in the mid 40's. Summer temperatures are warm with averages in the upper 70's and highs in the low 90's. Nights are mild with lows in the upper 60's. Fall temperatures are cool with averages in the low 60's and highs in the low 70's. Nights are cold with lows in the upper 40's. Winter temperatures are cold with averages in the upper 30's and highs in the upper 40's. Nights are cold with lows in the mid 20's.